A rapidly accelerating legal collision between daily fantasy sports (DFS) giants DraftKings and FanDuel and New York State authorities looms following a busy Monday which saw DraftKings’ and FanDuel’s motion for a temporary restraining order against New York Attorney General Eric T. Schneiderman declined, pending an initial hearing in the matter scheduled for next Wednesday. 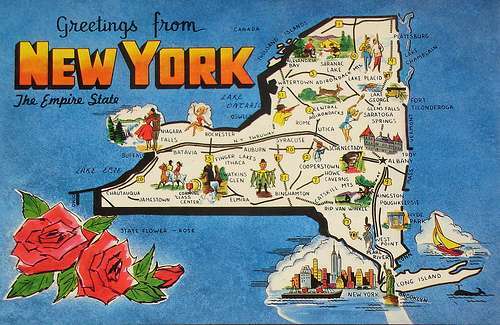 New York Supreme Court Justice Manuel Mendez denied a motion for a TRO by the two companies on Monday, the latest development in a fast sequence of events regarding the legality of DFS in America’s second most-populous state. Except the TRO wasn’t issued, and it’s not exactly clear what will happen in the brief interim between today’s denial of the two firms’ joint motion and the hearing now tentatively scheduled for next Wednesday, barring further developments from Schneiderman’s office. For instance, DraftKings and Schneiderman’s office disagreed on exactly what was stated before Judge Mendez. Except that the granting of the order was done in regards to the request for the expedited hearing, and not in regards to the motion for the TRO. Further clouding the day’s developments was a quote given from a New York AG office spokesman to CNBC reporter Jessica Golden, referring to the DraftKings statement that no interim action would occur and denying that happened. “That did NOT occur in court,” the unidentified NY AG spokesman told Golden. One reason the TRO may not have been issued is that for the time being, it was likely moot: Last week’s C&D isn’t binding by itself, and would require a follow-up action from Schneiderman’s office. Indeed, the denial from Schneiderman’s AG office leaves open the possibility that New York’s AG may file an injunction against the two leading DFS sites as soon as tomorrow… or, then again, maybe not. DraftKings and FanDuel continues to operate in New York State in open defiance of the original cease-and-desist order issued by Schneiderman last Tuesday. There are some subtle difference between the two companies’ public stances, however. FanDuel hasn’t been quite as militant as DraftKings in its public statements, and at least temporarily, the site as of Friday stopped processing withdrawals and deposits for its New York-based customers, unleashing a volley of consumer-based complaints. A FanDuel statement on Monday accused Schneiderman’s office of interfering with the site’s third-party payment processors, pressuring them to stop providing financial connections to New York-based players. A spokesman for Schneiderman’s office denied that claim as well, and by this evening, most stories had gone with an alternate explanation for the FanDuel processing delay, relating to a supposed new payment processor and its new ID-verification protocol. 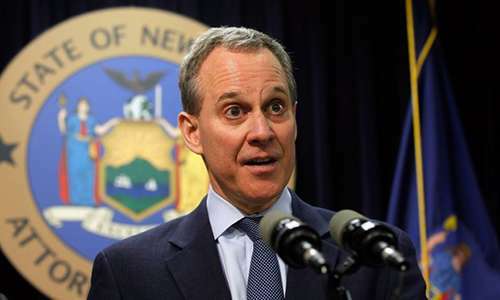 The two companies, meanwhile, have also filed their own lawsuits against Schneiderman and his New York Attorney General’s office, alleging that his actions designed to curtail DFS activity in New York state are themselves illegal and unconstitutional. The filing then went on to claim that this was part of the reason for the filing of the motion for the TRO, even though Judge Mendez declined to go along with that part of the argument. Nonetheless, a turbulent autumn for the two DFS giants continues, with a major legal showdown set for just a few days ahead.